Locals have heard 'booms from the underworld' in a giant ravine but now scientists say it holds secrets of the planet's past. Many Yakutian people are said to be scared to approach the Batagaika Crater - also known as the Batagaika Megaslump: believing in the upper, middle and under worlds, they see this as a doorway to the last of these. 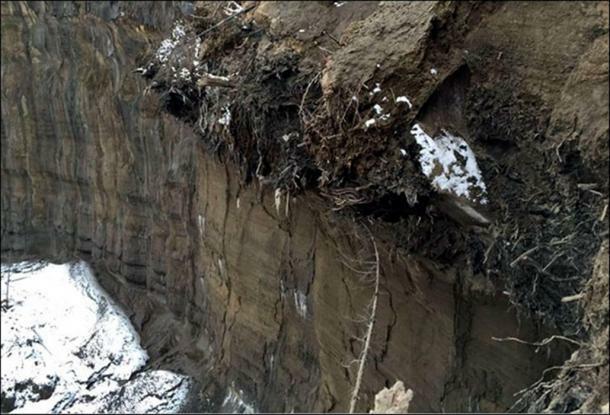 The fearsome noises are probably just the thuds of falling soil at a landmark that is a one-kilometre-long gash up to 100 metres (328 feet) deep in the Siberian taiga. 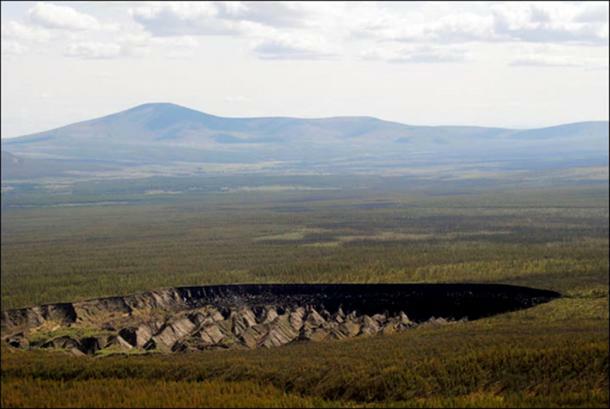 Batagaika started to form in 1960s after a chunk of forest was cleared: the land sunk, and has continued to do so, evidently speeded by recent warmer temperatures melting the permafrost, so unbinding the layers on the surface and below. Major flooding in 2008 increased the size of the depression which grows at up to 15 metres per year. The result is an unparalleled natural laboratory for scientists seeking to understand the threat to permafrost due to climate change. 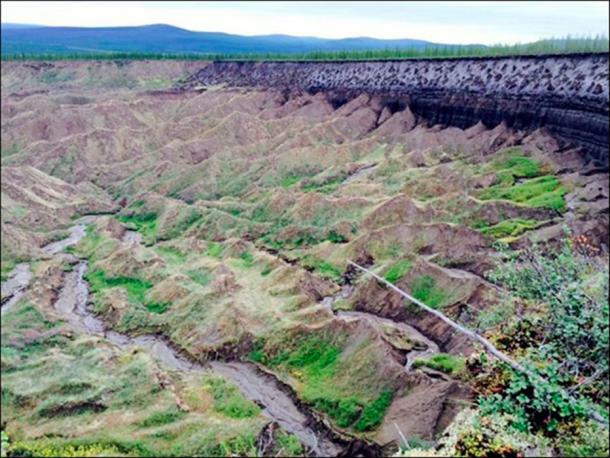 A recent expedition to the partially manmade phenomenon sought to date the layers of soil which had been frozen in time as permafrost, and also to gather samples of plants and soil. Until now, it was believed the layers of soil were around 120,000-years-old. But Professor Julian Murton from the University of Sussex - who inspected the site near the village of Batagai, in Verkhoyansk district, some 676 kilometres (420 miles) north of Yakutsk, capital of the Sakha Republic - determined that the correct age is around 200,000 years old. 'This project will allow us to compare the data of similar objects in Greenland, China, Antarctica. 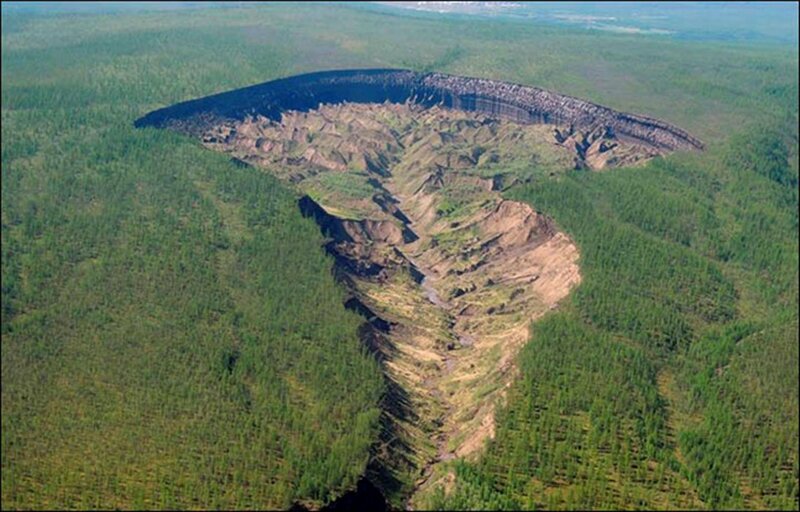 Data on ancient soils and vegetation will help us to reconstruct the history of the Earth,' he told Russian journalists. 'I was both surprised and excited to learn that we can date the samples found in the lower horizon as 200,000 years.' He explained: 'We found several layers of buried soils. Two of them look especially promising. 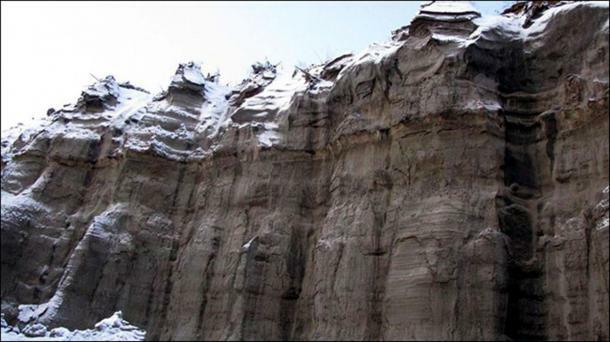 They show that thousands of years ago the climate in the region of Verkhoyansk was the same as it is now, and even warmer. 'We took the samples of the remains of trees to find out what kind of forests grew in this area. We also took the sediment samples - they will help us to find out what kind of soil predominated here in ancient times. Due to the permafrost, the preservation of organic is excellent. 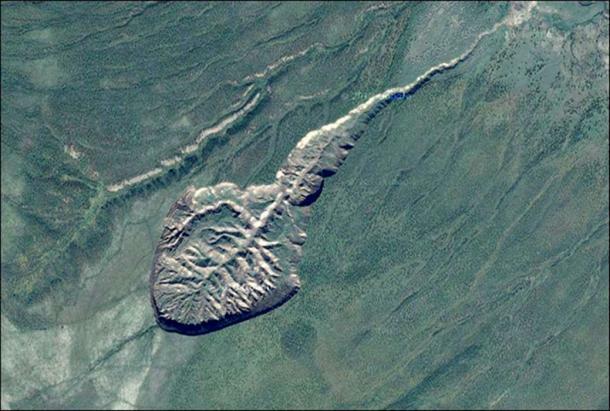 'Batagaika itself struck my imagination - its size is amazing, the crack itself is perfectly exposed, uncovered, all the layers are perfectly visible and can be thoroughly studied.' The expedition was a 'pilot study' at one of 'most important' sites in the world for the study of permafrost. The samples will be examined in more detail at the Institute of Physicochemical and Biological Problems in Soil Science in Pushchino, near Moscow, he said.